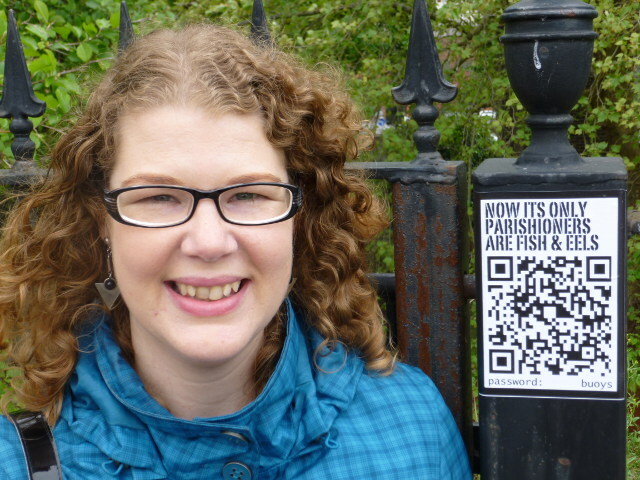 Last week I had the uncommon pleasure of walking a story trail I’d contributed to. 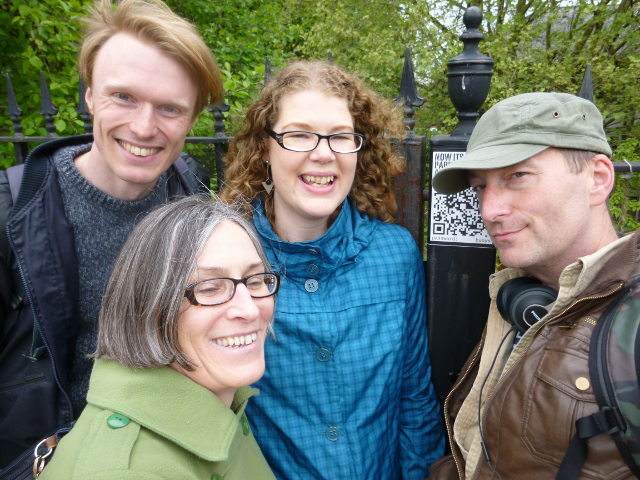 Two of the other writers who’d written pieces featured in the Redcliffe Future Way story walk, plus Toby who’d set the whole thing up, met outside St Mary Redcliffe and took a wander, pausing to pick up snippets of site-specific stories along the way. We had a brilliant time. 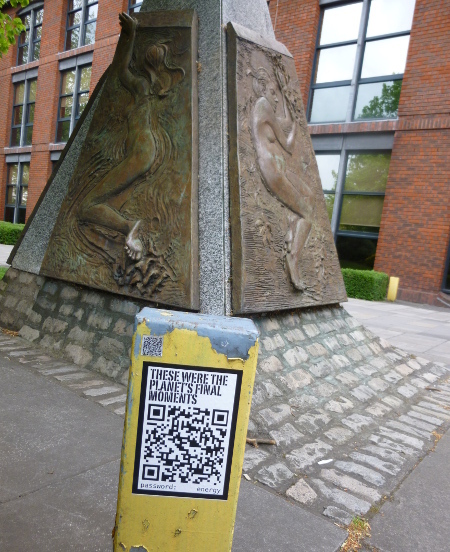 Toby had cunningly picked out intriguing lines from each section of our tales to tempt passersby into scanning the QR codes with their smart phones. 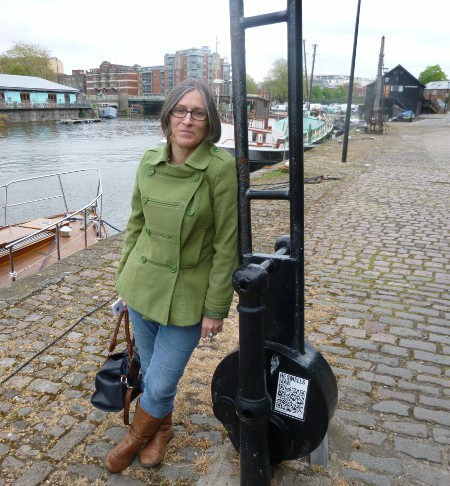 Here I am beside the first part of my story Under The Surface, which reimagines this area of Bristol deluged by water. Toby chose the line “its only parishioners are fish and eels”. Grace Palmer’s story Redcliffe Mornings comprises four sections evocatively connected by the sense of smell. The one pictured below is from the POV of a fox and features the line “He smells man”. The brief was to set each work of fiction in the future, and David J Rodger’s tale, Redcliffe Requiem, takes you right to the brink of the end of the world. You can find the final part of his story in front of one of my favourite Bristol sculptures. The goal of the trail is to make you experience this part of the city in a new and thought-provoking way – weaving together real, physical places with fantastical imaginings. It’s also a fun and unusual way to share fiction. Highly recommended both as a user and participant! To find trail points, check out the Future Way Map and visit bristolstorytrail.wordpress.com/redcliffe-future-way/.